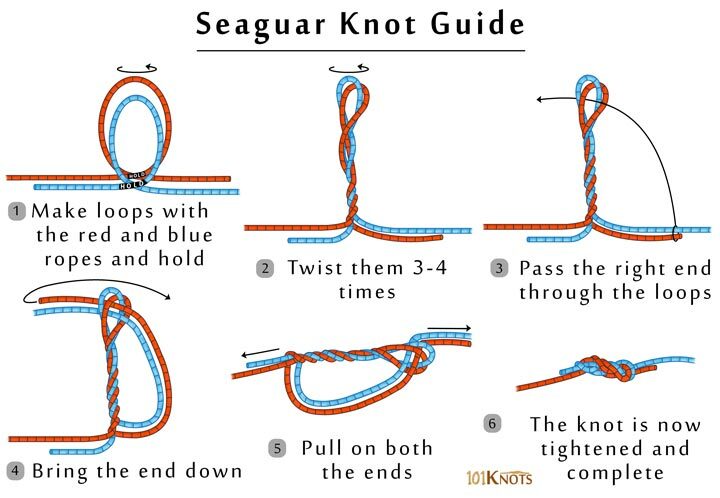 The knot was introduced to America by the factory representatives of the fluorocarbon line maker company Seaguar. It is a simple and reliable knot made with a double line that connects a fluorocarbon leader to a monofilament line. Maintaining a high percentage of the main line strength, the knot has a wind-on profile and is great while using long, low-visibility leaders. The breaking strength has been found to be 11 to 13 pounds in tests. It works with lines of the same diameter and may slip for braid to mono connections. Give yourself enough line to work with. It is important to moist the lines before tying. A chapstick serves the purpose well. After finishing the knot, trim off excess tag ends if any. 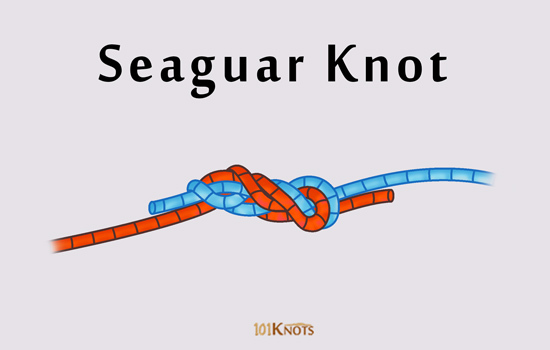 Surgeon’s knot – An end is wrapped along the circumference of the loop formed by the double line instead of twisting the 2 loops themselves as in the Seaguar knot. Dropper loop – A loop knot and weaker. Double uni knot – More reliable.